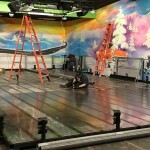 Fairgrounds Fun during Construction - Incredible Pizza Company - Enjoy our huge all-you-can-eat buffet, indoor Go-Kart Races, Bumper Cars, Route 66 Mini Golf, a huge video game arcade with prizes, Bowling, and more! It’s been pretty exciting around here the past few weeks! You may have seen the updates about the construction; or perhaps you have visited us and seen the changes going on! The great news is that the Fairgrounds IS OPEN while we work! We have successfully completed the removal of the ice skating rink, and it will not be returning. We are making way for our brand, new attraction, Hologate! It is the latest and greatest in Virtual Reality technology and provides live, action entertainment like no other. This fully immersive VR game will appeal to all ages, for a fun, exciting experience that immerses the participant in a whole new virtual world. The graphics and technology are designed in a way that promises no motion sickness feeling or dizziness like some VR games cause. The future of gaming will be right here at Conroe’s Incredible Pizza Company! Along with the new fun coming, we have also given the Redemption Center an upgrade. 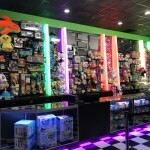 The premium prize items are displayed along the back wall and highlighted with neon lighting. And, ofcourse, there are plenty of prizes to choose from in display cases for easy viewing and selection. And, we don’t want to forget to mention the bumper cars area. It has expanded, doubling the number of cars that were previously available. The Fairgrounds is still open for plenty of fun while the remodeling and upgrades take place. 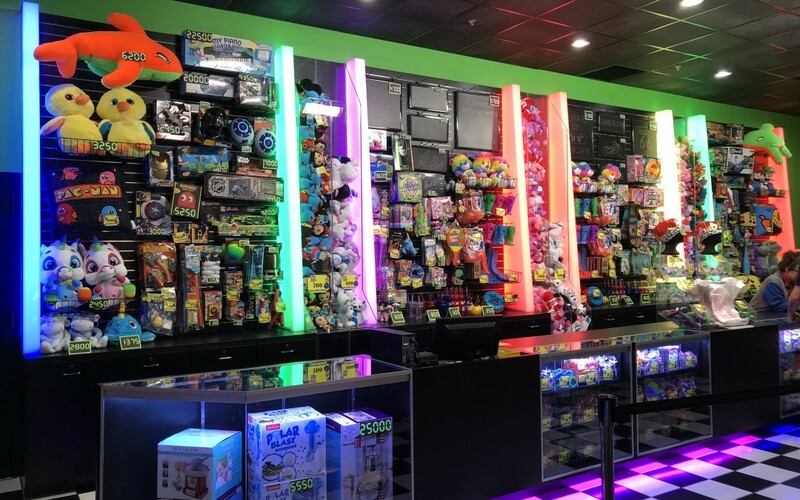 Choose from over 150 video games to play or engage in some high tech hide and seek in the laser tag arena! We can’t wait to unveil all the exciting new changes when they are completed!